I helped launch our Guardian Facebook Chatbot this week. You can message it and get the latest headlines or stories from a section sent back to you. It can also be configured to send you a morning briefing at 6am, 7am or 8am. Although it is possible, if you are the UK, that the messages you get are not made by a robot, but actually written by someone not a million miles away from this blog blearily writing them at 5:30am at the moment. Get started with the bot by sending a message here. I spoke to Digiday about how it fits into our plans. Long cheery analysis of how the floods will get us before the nuclear winter will. It’s worth peeking at this Commons Library briefing on some of the basic ‘unknowns’ relating to Brexit and then realising they maybe should have just published the world’s biggest ¯\_(ツ)_/¯ instead. 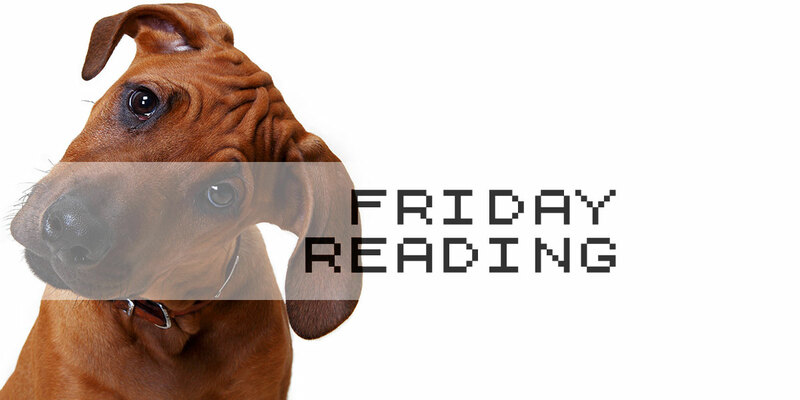 The ONS have got a new blog, if that is your sort of thing. 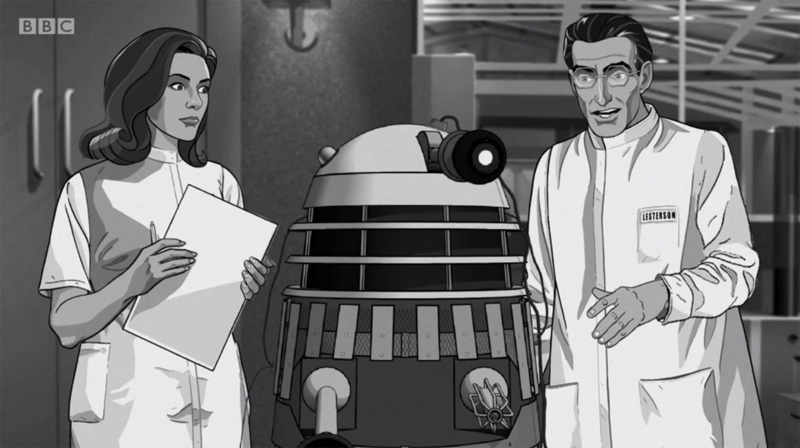 I got the gig of reviewing the new Doctor Who animation ‘Power of the Daleks’ for the Guardian. Unsurprisingly, I am quite keen on the way they have recreated the lost Patrick Troughton story. 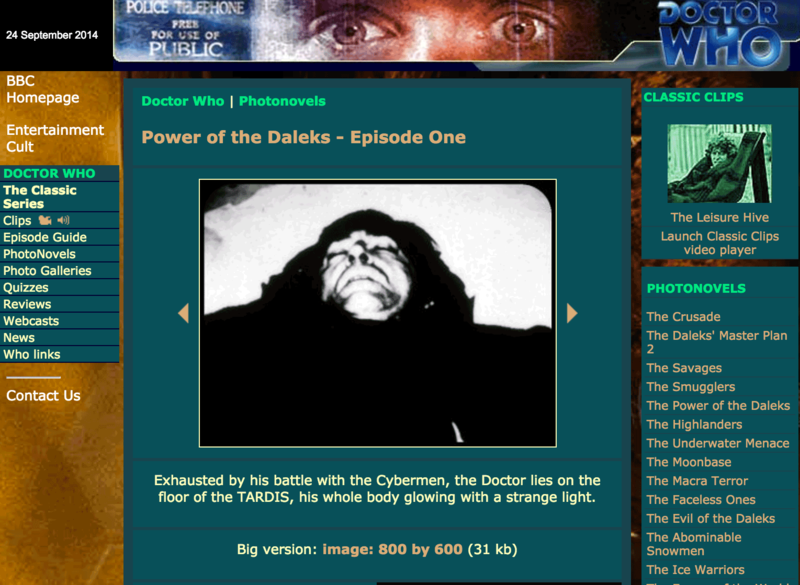 I was less pleased, in my research for writing it, to discover that the BBC have buggered up all the archive photonovel reconstructions that the BBC Cult team so lovingly put together. One for the parents – an analysis of how watching CBeebies with young kids has changed significantly with the advent of on-demand and streaming. My own anecdote – Sky introducing “Press the green button for the next episode” is the best thing ever because my 3 year old can do it without having to shout for his parents. I enjoyed this on the age-old theme of how classical music metadata is so bad on digital services that it is a real barrier to listening, even at the same time that streaming has opened up wider access to the repertoire. The first episode of Gamesmaster is on YouTube. Wallow in the nostalgia. And rejoice in the late Sir Patrick Moore reading a script he clearly doesn’t understand a word of. Oh it’s just Kate Bush doing her first interview for five years, no big deal.